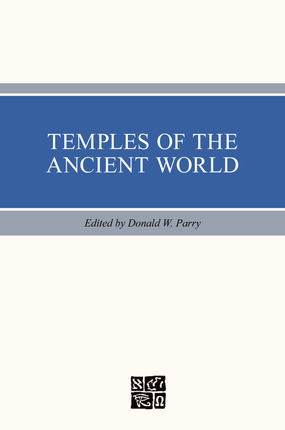 Three essays by Hugh Nibley, plus papers presented at the 1993 FARMS symposium, other important papers on the temple, a keynote address by Elder Marion D. Hanks (former president of the Salt Lake Temple), striking illustrations by Michael Lyon (who illustrated Nibley's Temple and Cosmos) -- these features and more make Temples of the Ancient World: Ritual and Symbolism one of the most significant volumes ever published on the temple. Twenty-four essays in this 1994 publication focus on the temple in the Hebrew Bible and ancient Near East, the New Testament, Jewish writings, and the Book of Mormon and ancient America. This book is a veritable feast of knowledge. I love books about temples, ancient and modern. I read heavily at the feet of LDS and non-LDS scholars and their treatments of ancient temples; this book is in my top three. The articles are written by some of the LDS community's top scholars. Dr. Parry's article on the Garden of Eden is mind-blowing; Lundquist's treatise on temple preliminaries is a must-read; Nibley's article on the Sacred and the Symbolic is tremendous. Obviously you want agree with every author (the work is an Edited compilation); however, the book merits accalades and is a sound piece of faith and scholarship. 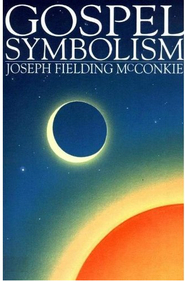 This book is one of the best written documents explaining some of the symbolic elements of the temple as well as its importance throughout history. It is a must-get for anyone who really is serious about understanding the covenants and blessings of the temple. Some of it is kind of hard to read because it was written by very highly educated persons.